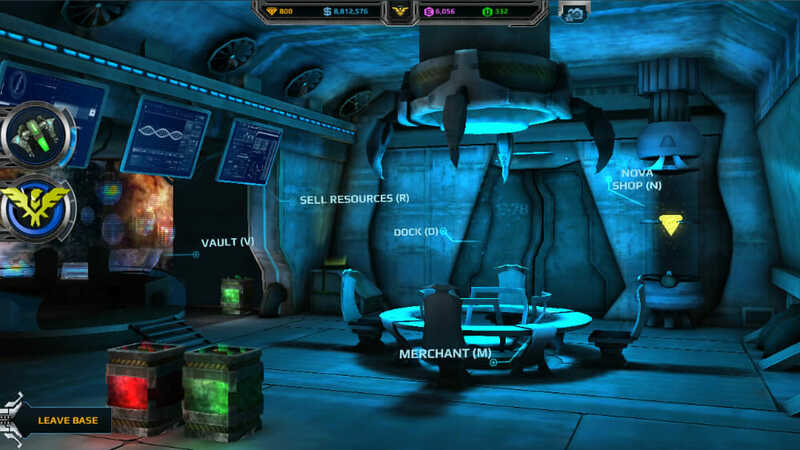 XS Software has brought us Andromeda 5, a free to play MMO browser game set in outer space. 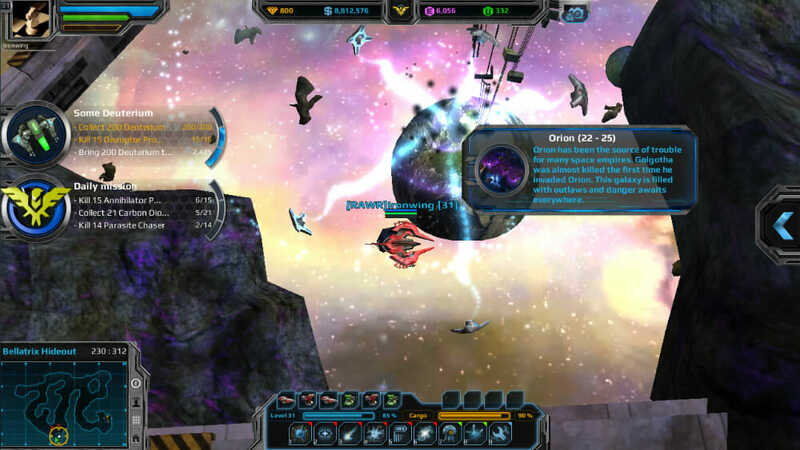 The game offers a good mix of solo and team play and gives players the ability to navigate a huge universe whilst taking on quests and missions, leveling up skills and defeating fellow players in battle. There are a total of 20 galaxies for players to explore a large selection of 15 ships to purchase and upgrade and more than 200 missions. The missions will be hunting down certain NPC’s, collecting resources or locating items across the galaxies. The game will appeal to both players that prefer single player action and those that like to team up with friends. For those that prefer the latter there are certain galaxies that completely open PvP whilst they can also take on enemies in specific arenas in other galaxies. There are numerous NPC aliens that you will come across that you can attack for resources. 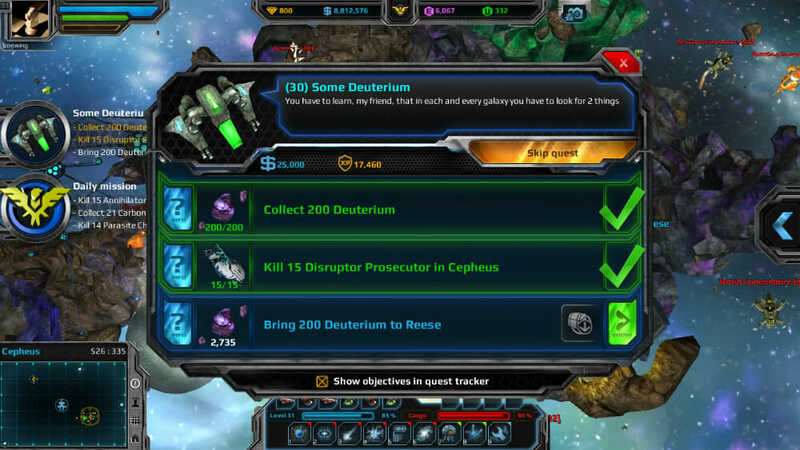 You will also have to trade these resources to make the money required to improve your ship, shields and weapons. There is a wide selection of the aliens that you will encounter too. 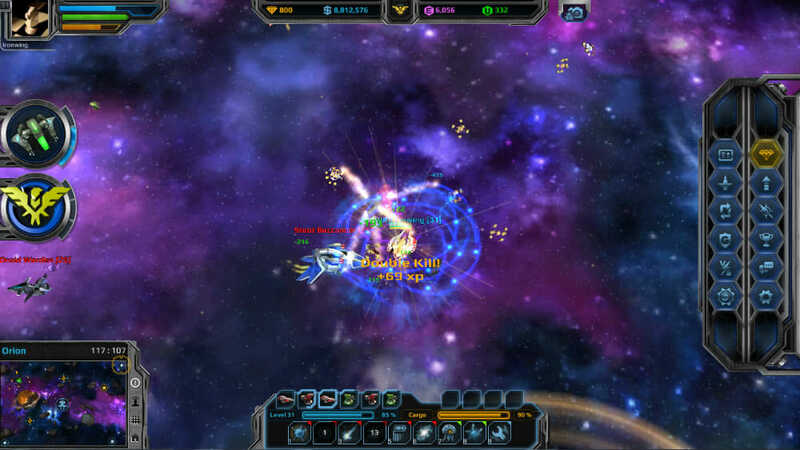 There are several races such as the Annihilator, Disruptor, Droid and Trident which will all harbor different skills and aggressiveness levels. You will quickly learn which ones to avoid, especially in the early levels. In fact you should make a point of learning each of their strengths and weaknesses as soon as you can, otherwise you are no doubt going to be getting killed far more often than you should be. As for the spaceships that are available for you to purchase, there are more than 15 on offer. These include the Serpent which is rather slow but has good shields and a long range weapon, the Boar which is fast and can chase your opponents all over the place and the Destroyer which is incredibly zippy and powerful. All of them will have certain strengths and certain drawbacks, so you will have to be careful to make sure you make the right choice when upgrading. All weapons, shields and engines on your ships can be upgraded once you have reached the required level and have acquired the necessary funds and resources. This will aid you in your fights against both NPC and PvP battles and quests. 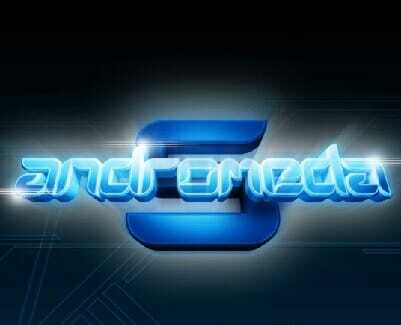 It can be quite a long grind however, which is usually the case with free to play online games. You will have to work and play hard to be able to save and trade the resources that you need. Of course, there is a premium option that can speed things up for you, though that will cost you money. The graphics of the game are decent for this type of niche and the battles can be fun and full of strategy. The only real negative is that the game is not really what you would call unique in any way. There are a number of similar free to play titles and this does not really offer anything that is significantly different. We feel that there are better options out there though this game can be enjoyable and certainly addictive to the right players. This could be a popular option for lovers of the sci-fi genre but to others it may be a bit tiresome. It is worth a try though, after all, it is free to play.